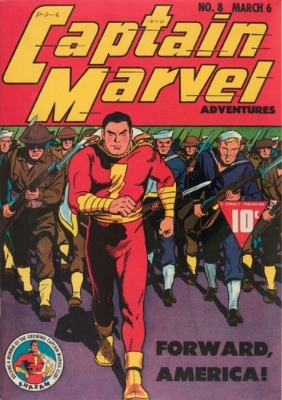 Stanley Printwhistle was a lowly criminal who often suffered defeat at the hands of Captain Marvel. Longing for power, Printwhistle sells his soul to Lucifer in exchange for superhuman strength and power, completing his transformation into Ibac. Despite his new power, Captain Marvel still beats him in every battle. 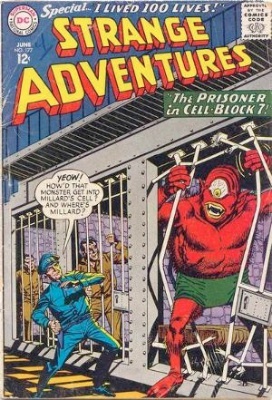 Later, Ibac joins the Monster Society of Evil. Bobby Drake's ice powers manifested as a teenager when he attacked a bully. 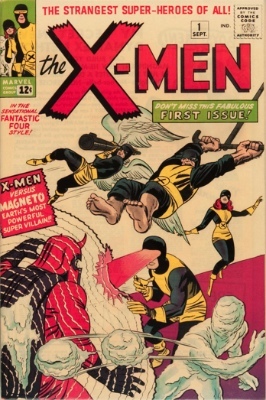 Fearing for his own safety after a mob formed against him, Iceman was rescued by Cyclops and Professor Xavier, who offered admittance into the X-Men. Iceman has the ability to create subzero temperatures in the environment and create various types of ice walls and projectiles. He can also cover his entire body with ice armor, and can turn his body into water and water vapor. Dr. Joar Mahkent, eminent European physicist, traveled to the US and took up a life of crime with the aid of the Cold Gun he'd invented, much to the chagrin of Green Lantern, for whom he became a nemesis. 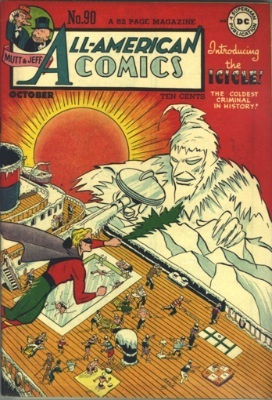 Icicle eventually joined the Injustice Society of America, freezing all and sundry as his evil mind saw fit. Ignition is a living armored weapon. It appeared when Joker stole Mr. Mxyzptlk's power and transformed the world into a nightmare from his imagination. 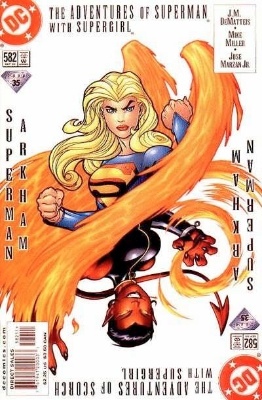 It is unknown what Ignition really is, or what its intentions are, other than to destroy Superman. Later, Ignition is seen working for General Zod. 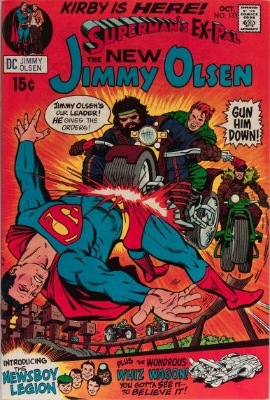 See our guide to the value of key Superman comic books here. Originally, Immortal Man was a Neanderthal who discovered a magical meteorite. Creating an amulet from the meteorite, he gained the power of flight, superhuman strength, and resurrection. Every time Immortal Man dies, he is resurrected as someone else. Throughout history, his arch nemesis is Vandal Savage. 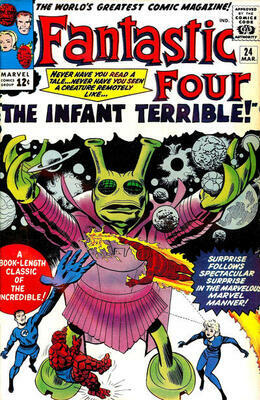 Immortus is the future self of Kang the Conqueror. After years of battling, Kang becomes tired of his lifestyle and is approached by the Time-Keepers, creatures who come from the end of the Universe. The Time-Keepers ask Kang to preserve timelines rather than conquering them. 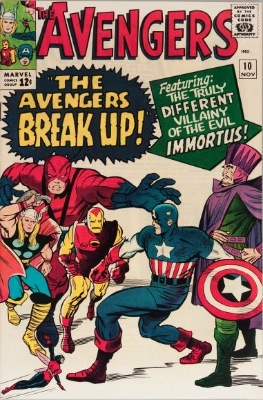 In exchange for immortality, Kang accepts and becomes Immortus. Imperiex is one of the most formidable and powerful villains in the DC Universe. Since the dawn of time, Imperiex has repeatedly destroyed the universe to create a new one from the ashes of the old. 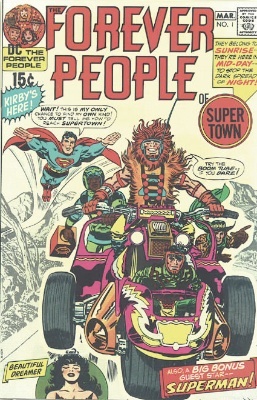 To prevent Imperiex from destroying Earth, Lex Luther arranges for a number of superheroes to battle the villain, including Superman and Doomsday. In an awesome display of power, Imperiex easily destroys Doomsday. 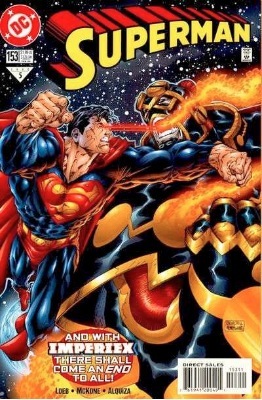 Through a partnership with Darkseid, Superman is able to push Imperiex back in time to the Big Bang, destroying him. 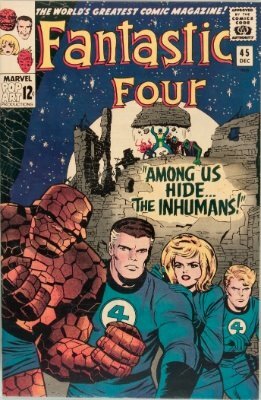 Have Fantastic Four comic books to sell? Impossible Man is an alien from the planet Poppup, who has the ability to shapeshift into anything he desires. He visits Earth on vacation, but finds the planet boring and leaves. 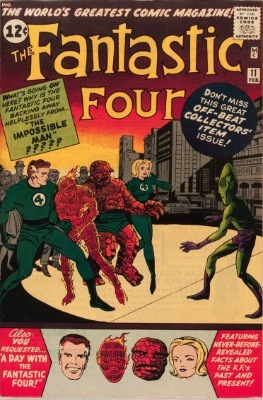 He appears in later comics, often as comedic relief, but sometimes as an important character in helping the Fantastic Four to overcome adversity. Impossible Man earned his name after the Thing called him "impossible". 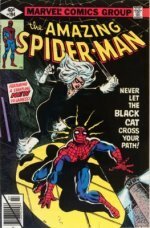 Free comic book appraisals! What have you got to lose? Infant Terrible was an alien infant who somehow got lost and found his way to New York City. While on Earth, Infant Terrible was tricked by Big Joe into stealing money from a bank. Before the baby could cause further destruction and harm, Mister Fantastic found a nearby alien spaceship and they took him home. Infant Terrible appears later as The Delinquent. Infinity Man is the brother of Darkseid and the protector of the Forever People. Later, at the command of The Source, Infinity Man goes on a rampage, killing off nearly all of the New Gods of Apokolips. Millions of years ago, during the Kree-Skull war, the Krees experimented on Neanderthals, creating an advanced human race, the Inhumans. After the experiment, the Inhumans formed their own advanced civilization apart from humans. The Inhumans are led by Black Bolt, and their civilization largely follows a restrictive caste system. The Injustice Society is a group of super-villians poised in opposition to the Justice Society of America. 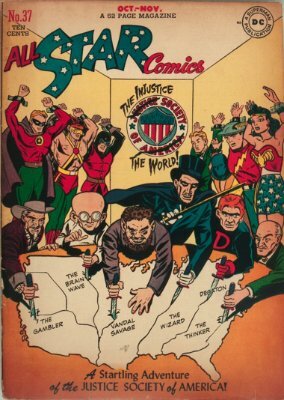 Initially, the lineup consisted of The Wizard, Brainwave, The Gambler, Per Degaton, The Thinker, and Vandal Savage. Later incarnations included The Fiddler, The Sportsmaster, Tigress, Icicle and the original Harlequin, and even later, Shade and Solomon Grundy. Intergalatctic Sentry #459 was a Kree robot, sent to Earth to oversee the creation of the Inhumans. 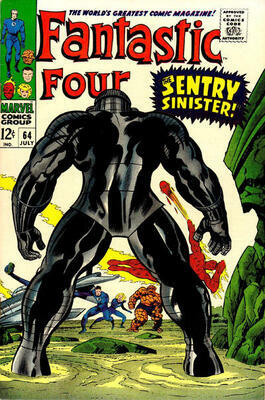 Later, the Fantastic Four destroy Sentry #459. Supplied with powerful weapons from the New Gods of Apokolips, Intergang was tasked by Darkseid to find the Anti-Life Equation. Intergang was originally led by Bruno Mannheim, followed by Morgan Edge. 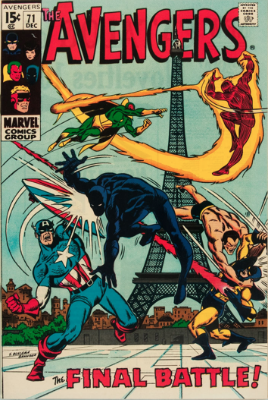 Originally consisting of Captain America, Bucky Barnes, the original Human Torch, Toro, and Namor (The Sub-Mariner), The Invaders were a World War II-era superteam. They first banded together to save the life of Winston Churchill, who then suggested they continue fighting as a unit. 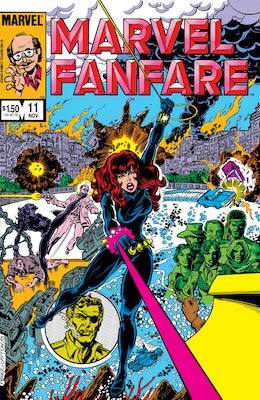 Later additions to the team included Spitfire and Union Jack, as well as a plethora of other Timely characters. 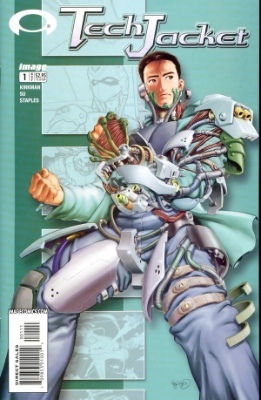 Mark Sebastian Grayson is the son of Nolan Grayson (Omni-Man), an extraterrestrial superhero. As he grows into adolescence, his super powers appear, giving him super human strength and the ability to fly. Using his powers to help humankind, Mark adopts the alias Invincible. 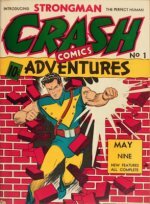 He later goes on to join the superhero organizations Teen Team and Guardians of the Globe. Iron Fist began as Daniel Rand. Daniel's father had once visited the mystical Asian city of K'un L'un, and after returning to America, getting married, making his fortune, and having Daniel, attempted to return for a visit with his family and business partner. On the expedition, high in the Himalaya, Daniel's father fell to his death, betrayed by Meachum, his business partner, who secretly loved Daniel's mother. She rejected Meachum, and while attempting to find K'un L'un with Daniel, was killed by wolves. Daniel was rescued by archers from K'un L'un, and brought to see Yu Ti, the ruler of the city. Daniel was then apprenticed to Lei Kung, the Thunderer, for martial arts training. He was an apt pupil, and after years of training slew a dragon and plunged his hand into its molten heart, giving him the power of the Iron Fist. He was an expert in all martial arts, and could use the Iron Fist, a punch strong enough to go through steel or stone, accomplished by focusing all his chi into his fist. He fought many enemies solo, later forming a partnership with Power Man (Luke Cage), and is still active today. 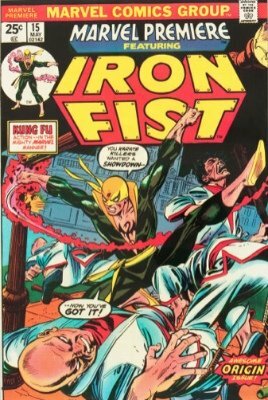 Copies of this comic have increased rapidly in value, due to the Iron Fist movie due for release in a few years. Melinna Von Vostokoff is a Russian assassin using the code name Iron Maiden. She is sent to America to kill Black Widow, but fails when S.H.I.E.L.D. arrives. Later, she joins the Thunderbolts during the Civil War storyline. Tony Stark was a millionaire industrialist in defense. While in Southeast Asia, he is severely wounded and captured by a communist warlord, and forced to work for him. 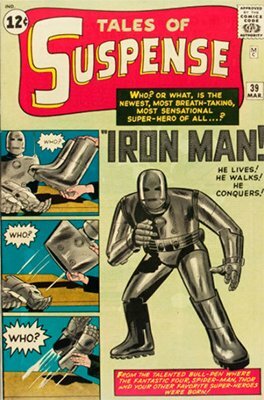 Instead, he built a suit of armor that would keep him alive and make him powerful enough to escape as Iron Man. He escaped and returned to the USA, constantly refining his armor while establishing Iron Man as a bodyguard for Tony Stark. In his armor he has super-strength, can fly with boot jets, can shoot repulsor rays from his gloves, and can survive underwater or in space. Iron Man joined the Avengers in issue #1 and has seen many changes over the years, but is now more popular than ever, mostly thanks to the big-budget Iron Man movies starring Robert Downey Jr.